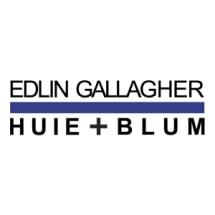 Founded by trial lawyers, Bassi Edlin Huie & Blum attorneys specialize in toxic tort, environmental law, business litigation, product liability, employment law, and other complex legal matters. BEHB delivers high quality legal services comparable to what a large law firm can provide, for a fraction of the cost. Serving a diverse nationwide clientele from our offices in San Francisco and Los Angeles, BEHB is committed to exceeding our clients' expectations by achieving successful and cost-effective case resolution. BEHB attorneys have tried more than one hundred cases and participated in numerous appellate matters, and our Law & Motion Department produces work that is hard-hitting and persuasive. Diversity is very important to BEHB and is a key component of what makes our Firm unique and effective. BEHB is 36% minority owned and 80% of our associate attorneys are minorities. Our paralegal and support staff positions are also overwhelmingly filled by minority employees. Given the diversity of our own Firm, we have a heightened understanding of the diversity issues our clients are considering and can provide counsel informed by this perspective. We look forward to working with you to manage legal risk while helping to control your budget, and welcome you to contact us anytime.